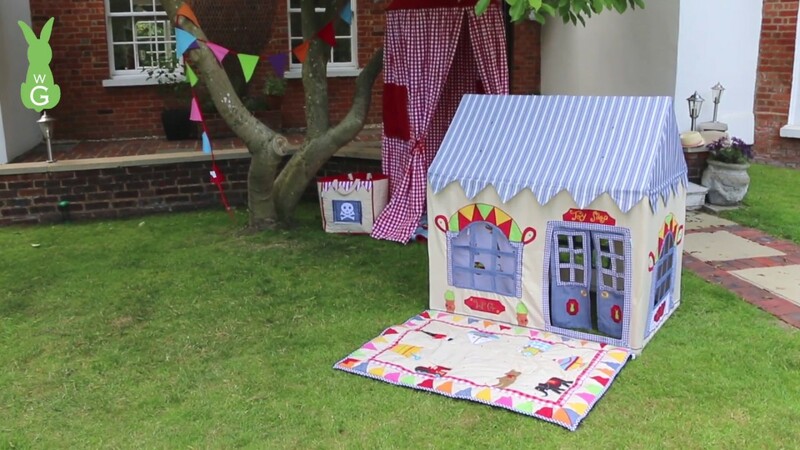 The Small Children's Beach Play House Tent is the perfect seaside pad for girls and boys alike – with a beautiful sail boat, lighthouse, deckchair – even a cup of tea awaits! This is a fabulous addition to your child's bedroom or playroom. There are lots of coordinating accessories within this range, from toy storage to floor quilts.